Little Maria Magdalene was called Lena, but at age eleven she decided to change her name to Marlene, a combination of her two names. When she was a teenager her mother married her father’s best friend Eduard Von Losch, but he passed away soon after from injuries sustained in World War I. Meanwhile Marlene’s mother had noticed a wild streak in her youngest daughter and sent her to boarding school. It did not work though, as Marlene had an affair with her violin teacher. Marlene wanted to be a concert violinist, but when she was not accepted by the Music Academy, she decided she would become a ‘famous theatre actress’ instead. She was not accepted by the Drama Academy either, but she did manage to get some small roles in the theatre. In 1923 and 1924 Marlene also appeared in minor film roles, but she still thought the theatre was more suited for her. At an audition in 1923 she met assistant-director Rudolph ‘Rudi’ Sieber and they married a few months later on 17 May 1923. Rudi advised her on her outfits and her image as an actress and he would do so his whole life. But Marlene was not thinking about her work much during this time: she wanted a baby. 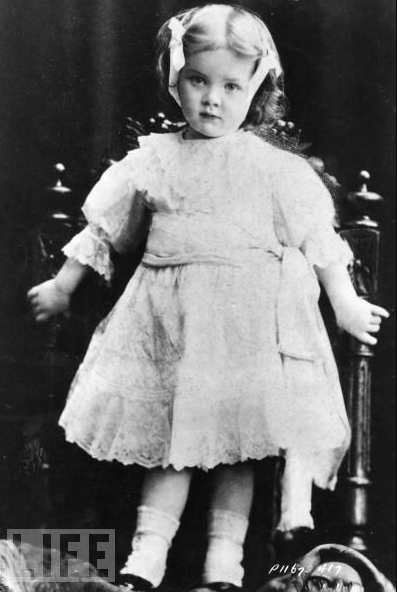 And on 13 December 1924 their daughter Maria Elisabeth Sieber was born. Marlene reveled in her role as a mother and did not go back to work until 1926. By that time she started getting some bigger roles on stage, but she was mostly known around Berlin for her bold looks. Marlene liked to dress glamorously, but also wore men’s suits, which was considered very risqué during this time. In 1929 she landed the role of Lola Lola in Der Blaue Engel (The Blue Angel) by famous director Josef von Sternberg. Josef became her mentor and many people would later claim that Marlene had him to thank for her successful career. Der Blaue Engel was made in both German and English and was such a huge success that Marlene was an instant star in Germany. 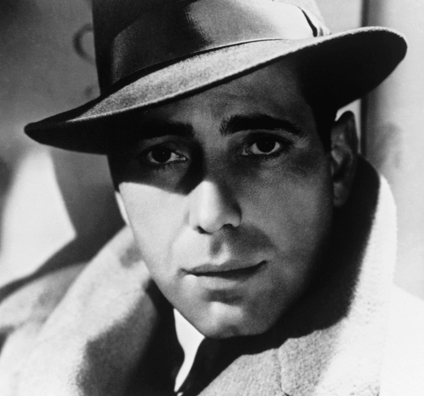 American studio Paramount took notice and offered her and director Josef a contract. Since rivaling studio MGM was making a lot of money with their star Greta Garbo, Paramount wanted their own mysterious, European star and that would be Marlene. Marlene and Josef started shooting their new film Morocco right away. It was both successful and provocative, as she is seen wearing a man’s white tie and kissing another woman in it. Morocco earned her an Oscar nomination and made her a star around the world. America was Marlene’s home now and her daughter moved from Germany to live with her in Los Angeles. Her husband was a whole other story. For the press and the public they pretended to be a normal, married couple, but they were not. Though they were best friends and called and wrote each other frequently, they did not live together and they did not have a romantic relationship anymore. Rudi lived in Europe and visited every once in awhile to see Marlene and his daughter, but he had a girlfriend called Tamara, ‘Tami’, and Marlene had affairs of her own. It was an arrangement that worked for them and that lasted until Rudi’s death. At the time Marlene was reportedly having an affair with Josef, though it was not exclusive as she was also dating actor Maurice Chevalier. 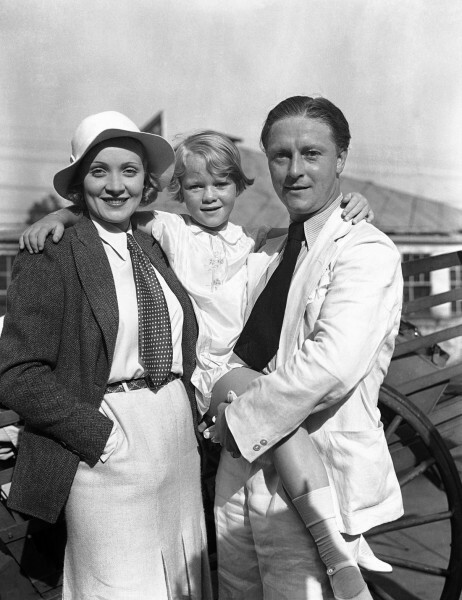 While she went to Europe with her daughter to visit her husband and family, Josef was working on another movie for her: The Scarlett Empress. The historic drama did not do so well at the box office and the next movie they made together, The Devil is A Woman, would be their last collaboration. But there were other things that worried Marlene much more. Joseph Goebbels, Minister of Propaganda in Nazi Germany, had taken a considerable interest in her and wanted to make her the biggest star of ‘The Third Reich’. The Second World War had not begun yet, but many Germans like Marlene recognized the threat the Nazi’s were becoming. Although Marlene was proud of her German roots, this ‘offer’ from Goebbels made her decide to apply for American Citizenship. Her next film would be Desire and she convinced the studio to hire current lover John Gilbert as her co-star. John had been a huge star in the silent film era, but had fallen victim to a severe drinking problem. Marlene tried to help him every way she could and Desire was going to be his comeback. Sadly, he passed away of a heart attack before filming. Marlene was devastated. She kept shooting films back to back though: after Desire she filmed The Garden of Allah and Knight Without Armour. The last two were financial disappointments and Hollywood started noticing. She was dubbed ‘box office poison’, but she was in good company: colleagues like Katharine Hepburn and Mae West were on the list too. Nevertheless, her studio Paramount decided to buy out the remainder of her contract when her next film Angel was a disappointment at the box-office as well. Marlene then took take an extended vacation to her beloved Europe. She did not make another film for two years, but her comeback film would prove to everybody that she was still a movie star. She played a cowboy saloon girl in Destry Rides Again, which became a huge hit. Though most of her next films did fine, this would be her last huge box-office success. But more important things were on the horizon: World War II had begun. Marlene had moved back to America with her daughter just in time, but she was frustrated that America did not help Europe defeat the Nazi’s. 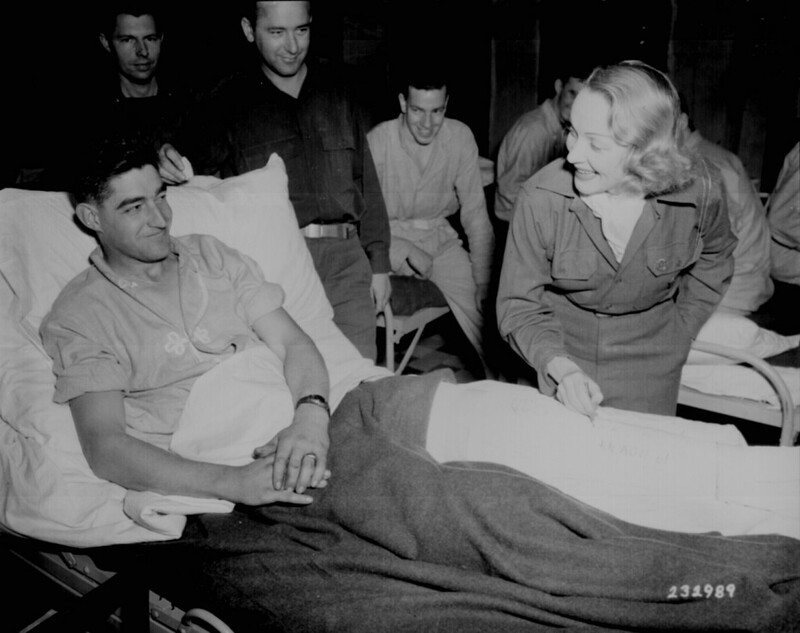 When Pearl Harbor was attacked and America joined the fight, she was one of the first stars who volunteered to help out in The Hollywood Canteen and raise war bonds. She went on two tours in 1944 and 1945 to perform for allied troops on the front lines. Marlene even went into Germany with Generals James M. Gavin and George C. Patton. In 1945 she was awarded the Medal of Freedom for her work. She stayed in Europe for a while and made the not so successful film Martin Roumagnac in France. In 1947 she returned to America, just in time to witness the birth of her first grandchild Michael. The press dubbed her ‘the world’s most glamorous grandmother’. 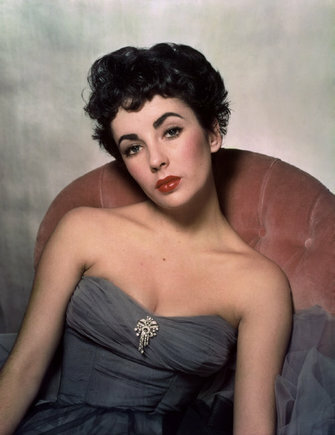 During this time she started a passionate affair with actor Yul Brynner that would last four years. In her professional life Marlene was still making films, like Golden Earring and A Foreign Affair, but she was about to embark on a new chapter in her career. In 1953 she was offered a lot of money to perform at the Sahara Hotel in Las Vegas. The show consisted mostly of Marlene singing songs that she was associated with, but it turned out to be a huge success. She was offered a contract to perform in Café de Paris in London and her contract in Vegas was renewed as well. Marlene knew she could do more with this concept and hired the still unknown Burt Bacharach as her musical arranger in the mid-fifties and together they created a one-woman show. It included songs from her films, popular songs of the day and as always she played with her sexuality: she wore a body hugging dress for the first half of the show and a top hat and tails during the second act. They toured the world and the show was a huge success. The collaboration with Burt worked so well, that they recorded four albums and several singles together between 1957 and 1964. 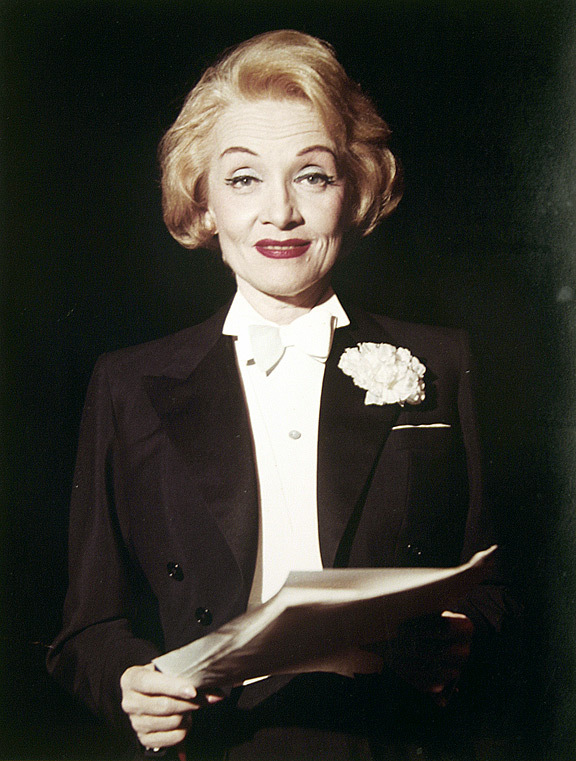 Marlene won a special Tony Award for her show in 1968. Her acting career was coming to an end though, she made one of her last films during these years: Judgment at Nuremberg. Meanwhile her health was starting to decline. She survived cervical cancer in 1965 and suffered from poor circulation in her legs. Marlene did not trust doctors and self medicated her whole life. She was already fond of alcohol and painkillers and this only got worse as the years went by. In 1973 she fell while performing a show and injured her thigh. By now, Marlene was in her seventies, but she refused to see that she was not able to perform anymore and she kept touring. But she had to face the facts when she fell off the stage again in 1975 and broke her thigh. Marlene never performed again. In 1976 her husband Rudi passed away. Although this saddened her, they had not lived together for decades and it did not change much for Marlene’s everyday life. By now, Marlene had four grandsons, but the relationship with her daughter’s family was strained. According to her daughter Maria, Marlene was very narcissistic, selfish and very possessive of her. In 1992 she would release a biography on her mother, detailing their complex relationship. In 1979 Marlene made her last appearance in a film: she had a cameo in Just A Gigolo. She did it for the money and immediately after filming she withdrew to her Paris apartment. That’s where she stayed for the rest of her life. By this time she was not just an aged star anymore, but a legend. She got a lot of requests for interviews, but did not want to be seen by the outside world anymore. She made sure she was heard though: her autobiography Nehmt Nur Mein Leben (Take Just My Life) was released in 1979 and in 1982 she gave an audio interview for a documentary about her life called ‘Marlene’. She stayed active politically as well: in 1989 she appealed to save the Babelsberg Studios from closing and she spoke on television via telephone when the Berlin Wall fell. Although she refused to leave her apartment, she kept up with the world by reading newspapers in three languages and watching a lot of CNN. Only a handful of people were allowed to enter her apartment, but she kept in touch with everybody else through many telephone calls and letters. In the late eighties her health really started to decline and in March 1992 she had a stroke. She survived, but was very weak. 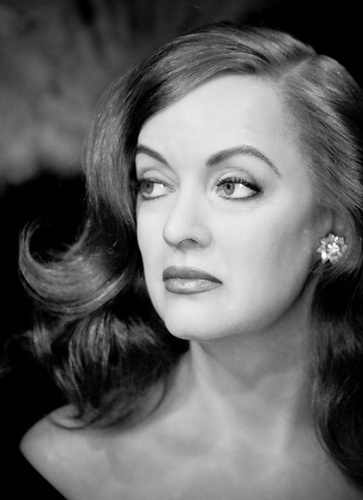 On 7 May 1992 Marlene passed away of renal failure at the age of 90. She was buried in Berlin beside her mother. 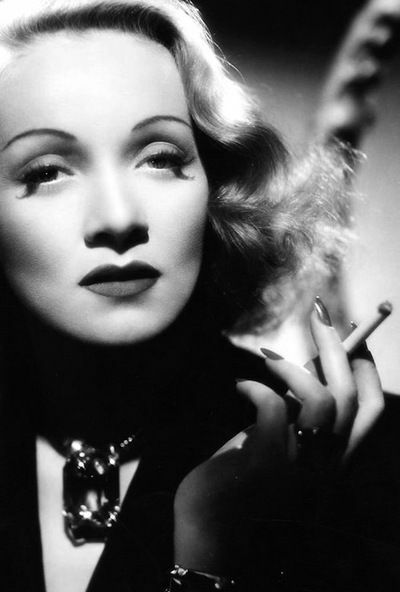 See her life in pictures in the Marlene Dietrich Gallery.